People are pretty excited about someone by the name of Springsteen? Babysitters in Austin are making bank tonight 'cause Bruce Springsteen and the E Street Band are playing the Erwin Center tonight. I recognize that Springsteen is still relevant and that he's been making great music since before I was born and all that I've just never really listened to any of his albums. Also, I don't really get the whole, "The Boss" thing? Does it have anything to do with Tony Danza? Is it like, "Where's the Beef?" where you had to have been a certain age in the '80's to get it? Anyway, if you want to get tickets to see, "The Boss" tonight just head on over to your DeLorean and go back to when they still had some. *Ouch*. You could also get 'em from a scalper if you've got that kind of loot. 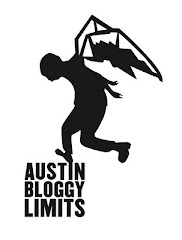 Something tells me if you REALLY wanted to see Springsteen in Austin tonight, you're not reading this blog anyway. Ah, I love Pete Yorn. That remind me, have you heard Josh Rouse? He had a song on the Vanilla Sky soundtrack. He and Pete Yorn should be friends. Maybe they are, I don't know. Oh yeah, Springsteen sorry I got side tracked. "The Boss" baby!! Who's the Boss? - Springsteen? Man, indie-rawkers <3 Dancing in the Dark. I guess it is pretty emo, what with the guns, fire, darkness and such. I think this video came from that island on Lost. What's with the video quality? This is supposed to be 1987 but it looks like 195X.